Deep anterior lamellar keratoplasty (DALK) is a surgical procedure for removing the corneal stroma down to Descemet’s membrane. It is most useful for the treatment of corneal disease in the setting of a normally functioning endothelium. Traditionally, penetrating keratoplasty (PK), which involves a full-thickness corneal graft, has been the treatment of choice for corneal stromal diseases. But PK can be complicated by graft rejection, irregular astigmatism and corneal opacification, thus resulting in visual impairment. DALK offers an alternative procedure that may lessen those risks because the recipient Descemet’s membrane and endothelium are preserved. At the same time, DALK carries the potential danger of decreased visual acuity due to possible opacification at the interface layers. DALK can be an effective treatment for any pathology of the anterior cornea (epithelium, Bowman’s layer and stroma) as long as the patient has an intact, functioning endothelium. Common indications for DALK include keratoconus and corneal scars. 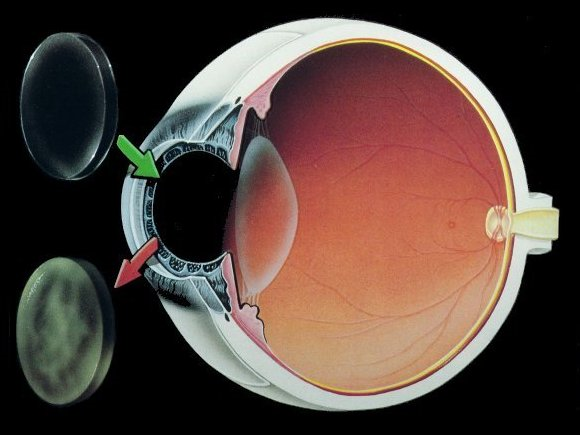 Patients with keratoconus are good candidates for DALK because they are typically young and have healthy endothelium. These patients stand to lose the most from the occurrence of post-PK immunological reactions that can compromise endothelial function in up to 20 percent of cases. Less common indications for DALK include corneal dystrophies and ocular surface diseases with limbal stem cell deficiency, including Stevens-Johnson syndrome, ocular cicatricial pemphigoid and chemical/thermal burns.